Perhaps nothing epitomizes a national shift toward personal financial responsibility more than the changes that have occurred in the realm of retirement planning. In previous generations, many companies provided their employees with generous defined benefit pension plans. These plans were primarily employer-funded and guaranteed a certain amount of income to employees during their retirement. But today, many companies have switched to defined contribution retirement plans. These plans are funded primarily by employees, often through payroll deductions. Businesses may choose to match employee contributions, but they are not always required to do so, depending on the type of plan. In addition, it’s far from certain that Social Security and Medicare will be able to pay out promised benefits when today’s pre-retirees are ready to retire. Some believe that without reform, these entitlement programs may not remain solvent for future generations. The upshot is that much of the responsibility for saving for retirement today has shifted from businesses to individuals. While the federal government helps encourage retirement saving by offering tax breaks to employers that offer qualified retirement plans and employees who participate in them, it’s mostly up to employees themselves to take the initiative to sign up for and contribute to the plans. Therefore, the best route to retirement financial security for many Americans today is to start a retirement savings plan as early as possible, and then contribute as much money to the plan as possible throughout the course of their working life. Traditional IRAs:IRAs were first introduced in 1975 as a tax-advantaged tool to help average Americans save for retirement. Traditional IRAs offer tax-deferred growth and a tax deduction equal to the amount of annual contributions for individuals who qualify. 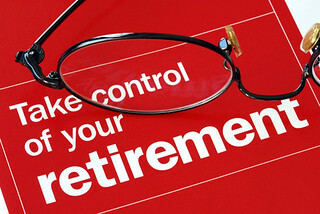 The maximum annual IRA contribution amount in 2012 is $5,000 per individual, or $6,000 for individuals age 50 or over. Roth IRAs:The Roth IRA differs from traditional IRAs in two key respects: First, there is no immediate tax deduction for annual contributions. But this is offset for many individuals by the fact that contributions (but not earnings) can be withdrawn tax-free at any time. Earnings, meanwhile, can be withdrawn tax-free during retirement if you’re at least 59 ½ years of age. Note, however, that eligibility for contributing to a Roth IRA phases out above certain adjusted gross income (AGI) limits. In 2012, these limits are $125,000 for single individuals and $183,000 for married couples filing jointly. However, individuals and couples above the AGI limits can convert an existing traditional IRA to a Roth IRA. 401(k)s:These are offered by businesses, so employees must choose to sign up and participate at their place of employment. Employees can then make tax-deductible contributions to their plan that their employers may (or may not) choose to match. In 2012, employees and employers can contribute a total of $17,000 to employees’ 401(k) accounts, or $22,500 for employees who are at least 50 years old. 403(b)s and 457s: These are offered by educational and non-profit organizations for the benefit of their employees. They operate similarly to 401(k)s and feature the same annual contribution limits. Simplified Employee Pension plans (SEPs) and SIMPLE IRAs: Designed primarily for self-employed individuals and employees of small businesses with no more than 100 employees (in the case of SIMPLE IRAs), these feature higher annual contribution limits than traditional and Roth IRAs. In 2012, you may contribute up to 25 percent of compensation or $50,000 (whichever is less) to a SEP and up to $11,500 to a SIMPLE IRA (or $14,000 if you are 50 year old or over). What’s the one thing that all of these retirement plans have in common? The fact that you must take the initiative yourself to establish or participate in a plan and contribute money on a consistent basis. Material is provided for information purposes only and is not intended to be used in connection with the evaluation of any investments offered by David Lerner Associates, Inc. (DLA). This material does not constitute an offer or recommendation to buy or sell securities and should not be considering in connection with the purchase or sale of securities.